What made the dinosaurs go extinct? This scientific question has been fraught with controversy since the 1800s. For a while, starting in the 1980s, it seemed like everybody had settled on one cause: an asteroid impact from outer space. That's what the textbooks say nowadays and that's "what everyone knows." But researchers, most of whom have been ignored and even shouted down, have kept on collecting evidence that favors an alternative. The case for their favored causevolcanismis bolstered by a paper in last week's issue of the journal Science. Dinosaur fossils appear in the rocks throughout the long Cretaceous Period, but disappear at its end approximately 66 million years ago (except for the birds, which live on today). It wasn't just dinosaurs either: other land animals suffered too, and about half of all plant species disappeared. In the oceans, the large sea lizards known as mosasaurs vanished, along with the long-necked plesiosaurs and coiled shellfish known as ammonoids. Just as with land plants, the species of floating algae in the sea, the base of the ocean's food web, were devastated. Arguments have long raged over what caused this mass extinction, typically called the "K-T event" because it marks the boundary between the Cretaceous Period (marked "K" on geologic maps) and the Tertiary Period that followed. Changes in sea level, climate, and ocean chemistry were the preferred candidates for many decades, and studies have shown that each of these can be nasty enough to cause large waves of extinction. Other, more novel suggestions included waves of disease, bursts of supernova radiation and evolutionary chaos. Around 1980, two new "bombshell" candidates arose: a gigantic episode of volcanic activity and a gigantic cosmic impact. The impact theory, invented at UC Berkeley, is so well known you can chat about it at parties. It's plausible science and a great story besides. The main problem is that the K-T mass extinction appears to have started before the impact and continued after it. The volcanic theory is just as plausible, especially after 30 years of research. Giant eruption episodes are blamed for causing several other mass extinctions. And lava flows built a stupendous pile of basalt the size of France, called the Deccan Traps, in the heart of India around the time of the K-T event. Large amounts of lava emit sulfur gases and carbon dioxide. Either of these gases could disturb global climate and the chemistry of the ocean. If enough lava were erupted all at once, the effects of both gases would look like an instantaneous blow in the geologic record. The main problem with the Deccan Traps is that its exact age and chronology are poorly known. The discussion is very complex, but the root difficulty is that in the record of the rocks, geologic time is extremely foreshortened. A bed of stone no thicker than a handspan can represent a hundred thousand years of time or more, and a massive layer hundreds of feet thick might have been the work of one catastrophic week. Microfossils are a well established yardstick in geologic time, but lava flows don't have any. Magnetic techniques don't work on every rock either. Isotopic methods that tell a rock's age typically reach a precision as good as around 1 percentbut that still means uncertainties of a million years or so. That's where the latest paper in Science comes in. Blair Schoene of Princeton University and four co-authors visited the Deccan Traps and managed to find examples of lava containing tiny crystals of the mineral zircon. These allowed them to date the rocks in Princeton's newest lab using the uranium-lead method, the gold standard of isotopic dating. Zircon is not found in basalt. Schoene's team had to find microscopic crystals of it in scattered beds of volcanic ash, representing rare explosive eruptions of lava with a different composition. 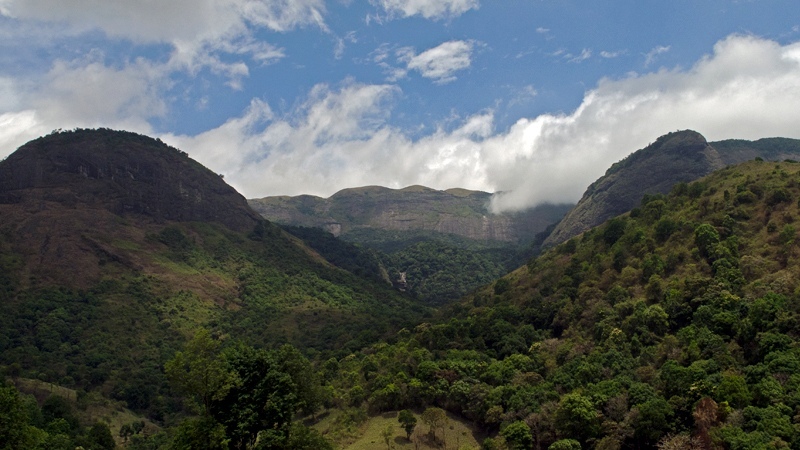 Zircon samples from high and low positions in the 10,000-foot lava pile enabled them to show that Deccan eruptions crossed the K-T boundary, lasting from about 250,000 years before it to 500,000 years afterward. It's a simple finding, but it means that the volcanism people have kicked down the door and taken seats at the table where the K-T event is being discussed. The volcanic theorists have been gathering evidence for a long time. It shows that truly monstrous eruptions took place that sent lava flows entirely across the Indian subcontinent. The emissions of gases that accompanied those flows would have wrought havoc with the atmosphere, disturbed the ocean circulation, and made the extinctions of the time entirely plausible, even without a giant impact. The new dates for the volcanism jibe with microfossil evidence, making their case doubly strong. Many of the impact theorists have shown a strong, almost visceral resistance to the volcanism argument. Indeed, at the meeting of the American Geophysical Union going on this week in San Francisco, a group of Berkeley scientists is presenting an argument that the worst of the Deccan eruptions was simply triggered by the impact, which leaves volcanism secondary and their favored theory supreme. But the volcanic K-T hypothesis is useful science, even if it's wrong, because today's global warming is driven by the same processesa geologically sudden blast of greenhouse gases. If we can model the K-T event in detail and find its predicted signs in the rocks, we can have more confidence in the models we use today to forecast global warming. The demise of the dinosaurs could have resembled the assassination of Rasputin, who according to legend was poisoned, stabbed, shot and drowned. As one coauthor of the Science paper, Gerta Keller, has put it in a recent book on the volcanic theory, "Ultimately, the effects of volcanism, impacts, sea-level and climate changes (warming and cooling), ocean acidification, ocean anoxia, and atmospheric changes have to be considered in any extinction scenario in order to understand the causes and consequences of mass extinctions. Moreover, these data hold the keys to help us understand, and cope with, the looming environmental and extinction crises in the modern world."